I am a wardrobe consultant, and mom to two toddlers. Married to my Police Officer husband, for 8 years. In early 2016 we decided to leave our adventurous life in Colorado to pursue something more simple in Iowa. We felt called back to the Midwest to raise our family, and are loving a simpler life! 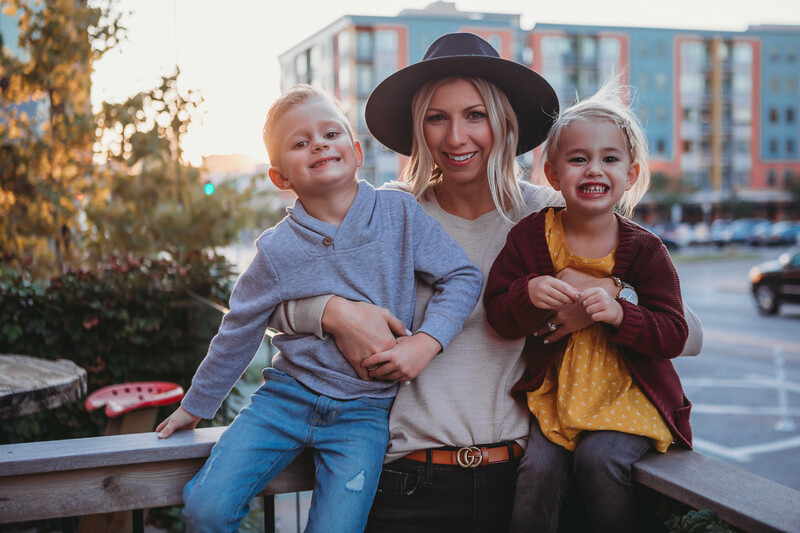 When I’m not sharing outfitting ideas on Instagram, building toy trains or, or dancing in the living room, you’ll find me lacing up my running shoes and heading to the nearest trial, discovering new places in Des Moines, and creating recipes in my farmhouse kitchen. My passion is teaching and encouraging women to grow into the women God created them to be. My dream for this blog is to help you style your wardrobe & simplify your life. To put the focus on finding what makes you feel beautiful with what’s in your closet today, with the way your body is today! My hope is for this to be a place of encouragement, love & grace in the tough yet rewarding seasons of motherhood. I’m so glad you’re here.